You've got a bike problem. We've got the fix. 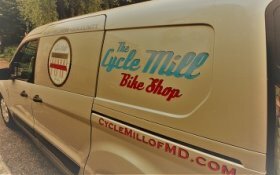 Get a bio-mechanical advantage for your ride when you count on our talented and experienced team of technicians for all of your bicycle repair needs. We have awesome mechanics with 50+ years of experience who are ready to help you and your bike get back out on the trail faster. Same day service is possible. Make sure you have the right accessories to keep you safe during your ride. Drop by anytime for fair, friendly, and knowledgeable service that you can rely on. Suspension Service- Call for a quote. Call for questions and prices regarding other repairs/services not on this list! If you've got a problem, we've got the fix. From brake adjustments to custom bike builds, and everything in between. Expert repairs so you can keep riding. 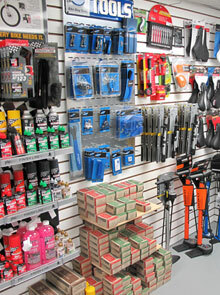 Enjoy a fun and laid back atmosphere while your bike is getting worked on.